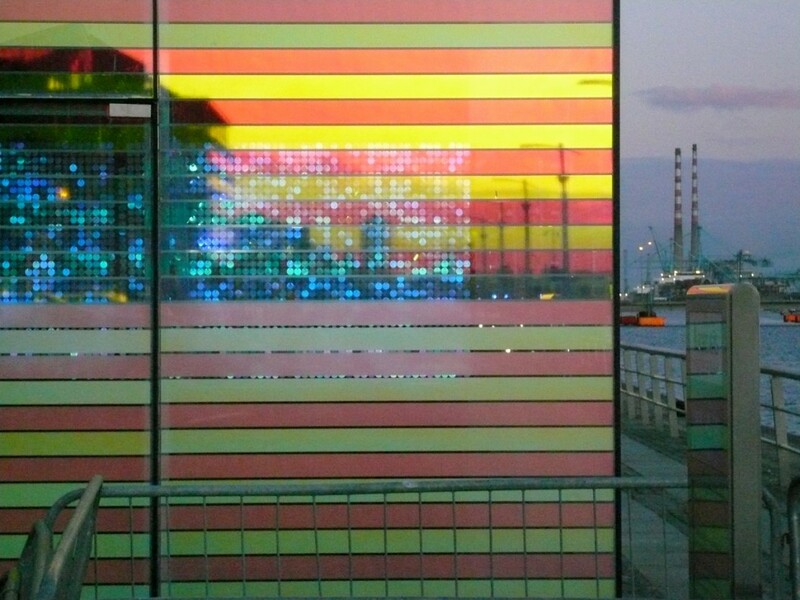 The work was commissioned by Dublin Docklands Development Board to disguise a gas transfer outlet. 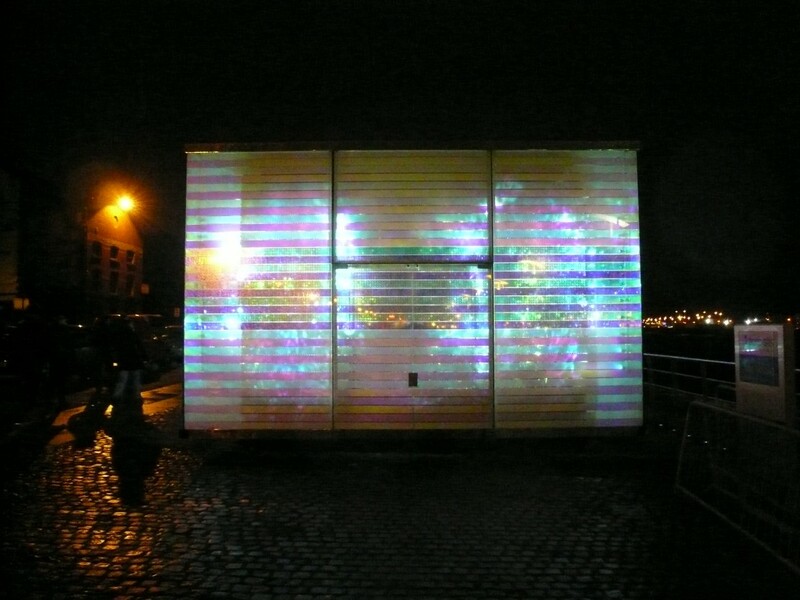 The ‘box’ containing the gas apparatus is covered with flock and sequins, then a narrow corridor, with a glazed vitrine built around the whole. 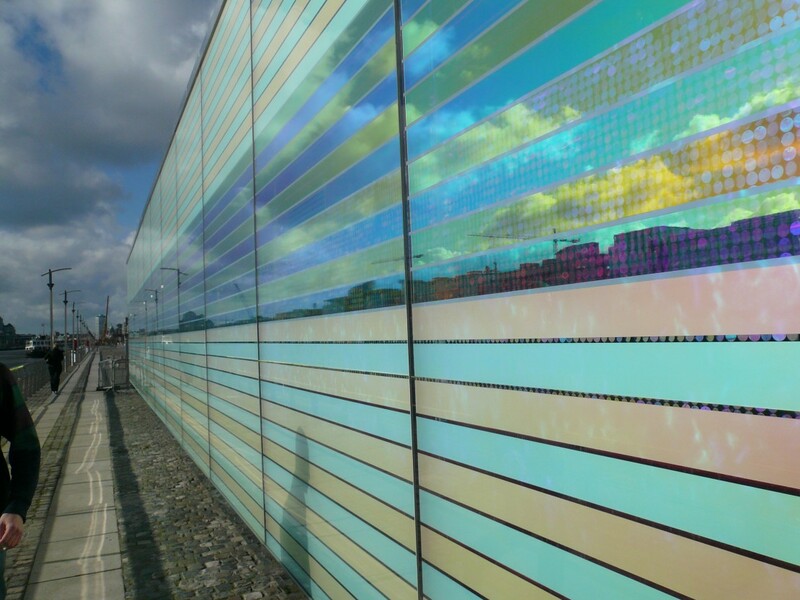 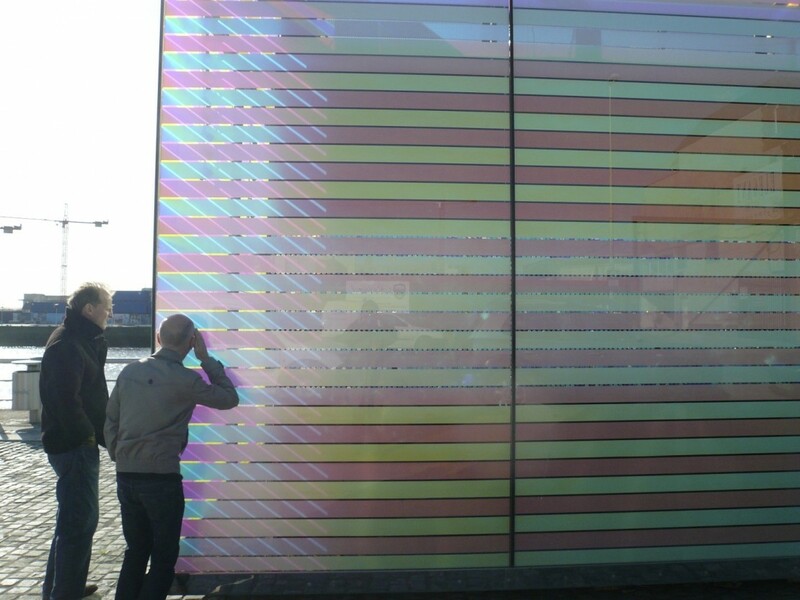 The glass is striped horizontally with a mix of dichroic film and translucent film. 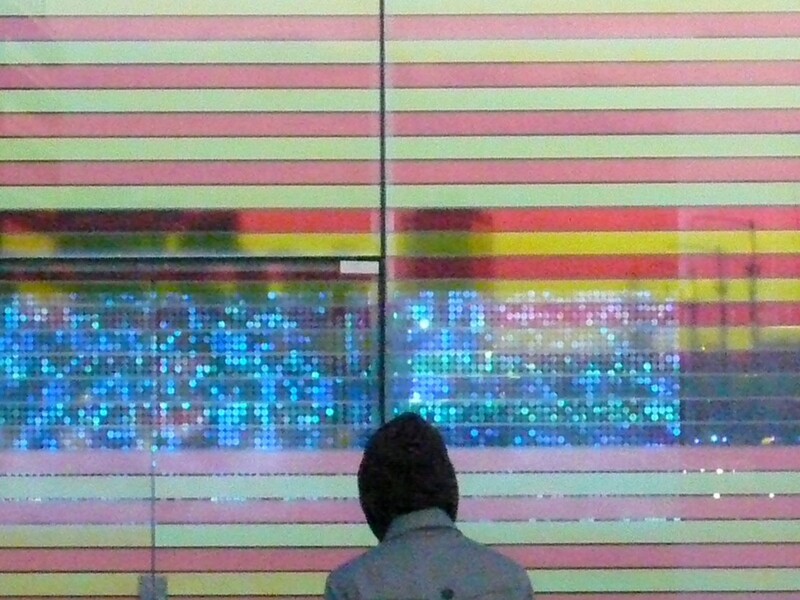 There are LED spotlights addressing the sequins from the glass, which move in air currents as wind passes through the open gridded floor. 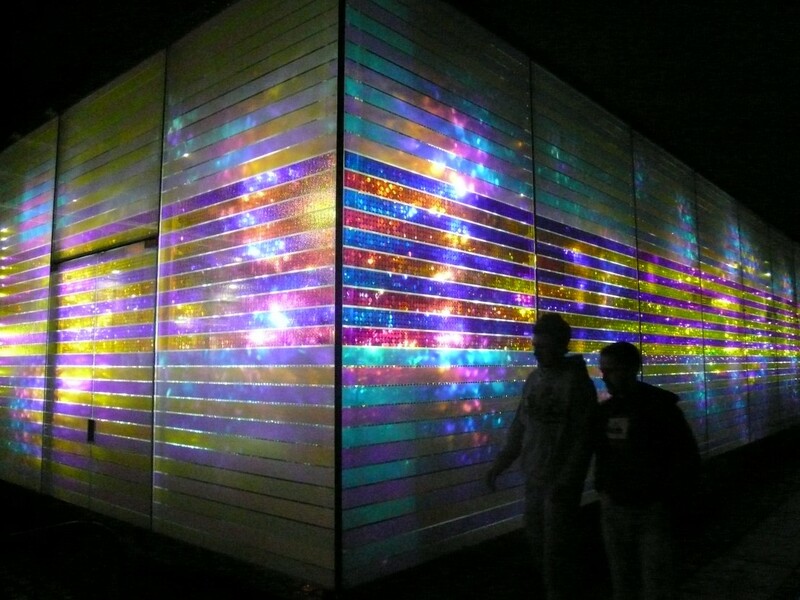 During the day the sun enters and illuminates the sequins and films, whilst at night the spots take over creating an engaging variety of light play which varies according to wind speed.